After creating a property in a data step, you may find yourself needing to rename the property to give it some meaning. For example, when creating your first file holder property, the default name will be FileUploadDownload1. You can change this by editing a data step, then click the property you wish to rename. 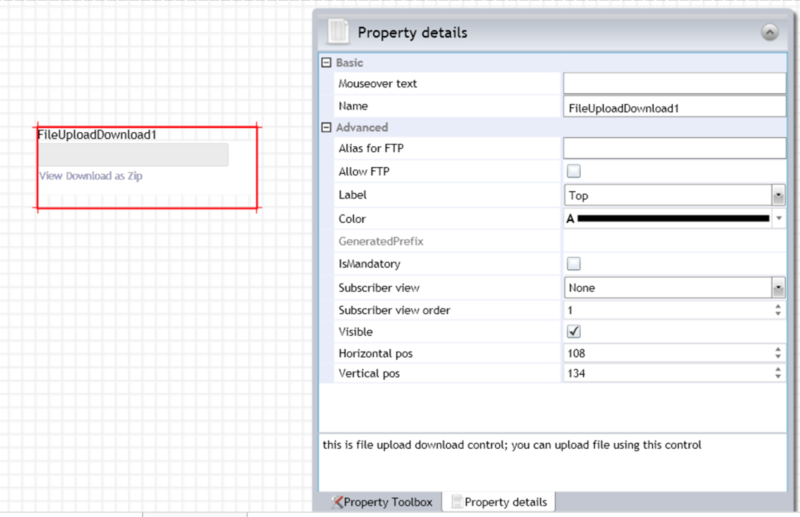 Once the property is selected, a "Property details" box should pop up as shown in the image below. You can rename the property by editing the textbox labelled "Name" under "Basic".